Louisville’s Butchertown got its name from the stockyards and meat processing plants that dominated the neighborhood a century or more ago. Today, it’s a thriving, trendy neighborhood that’s home to the Butchertown Grocery. 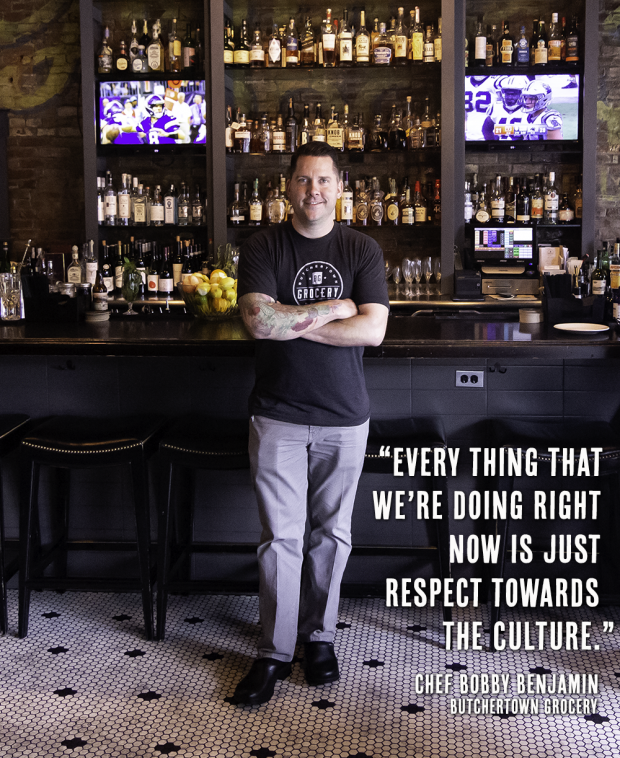 Chef Bobby Benjamin opened the restaurant and Lola, its upstairs cocktail lounge, with an eye to great cooking – and great whiskey. Not only are there plenty of private barrel Bourbons behind the bar, but whiskey is also a key ingredient in many of the restaurant’s recipes. Chef Bobby Benjamin joins us on WhiskyCast In-Depth to talk about picking private barrels – and a surprising way to use the char that comes out of those barrels! In the news, Diageo’s plans for reviving Brora Distillery have received local approval, while Ireland’s tough new alcohol bill is a signature away from becoming law.